Alleluya band’s annual tour to Italy this year aims at supporting Comfort Community Hospital which treats Under 15 children for free this is disclosed in Fr. Mario Pacifici’s Pentecost message. The hospital also gives food to the admitted children for free. In the message Fr. Mario who is the founding trustee of Andiamo Youth Cooperative Trust urges us to leave traces of goodness and love in solidarity for all because those in need are our brothers and sisters. In the message he gives disturbing statistics like “Five billion people have no access to decent surgical facilities and unable to be operated; in sub-Saharan Africa 93% of the population cannot access even to basic surgical care” (Lancet Magazine).” Sadly, part of the problem is caused by the shortage of doctors, adequate hospital facilities and more importantly, the inability of people to pay for treatment. If we help those in need, he says, “God can smile and rejoice in the sons and daughters” that are carried away by the passion for our humanity. It is sad, the message continues, that many people are not committed to those who suffer, because they are too blinded by their own tears. Quoting Jean Vanier, Fr. Mario says we must enter in alliance with the poor, make the effort to listen more and grieve not only for our own small sufferings and concerns. Last year alone, Comfort Community Hospital (CCH) treated over 60 thousand patients and this year we anticipate over 100 thousand will be treated at this facility. The Alleluya band members leave on 9 June and are expected back late August. 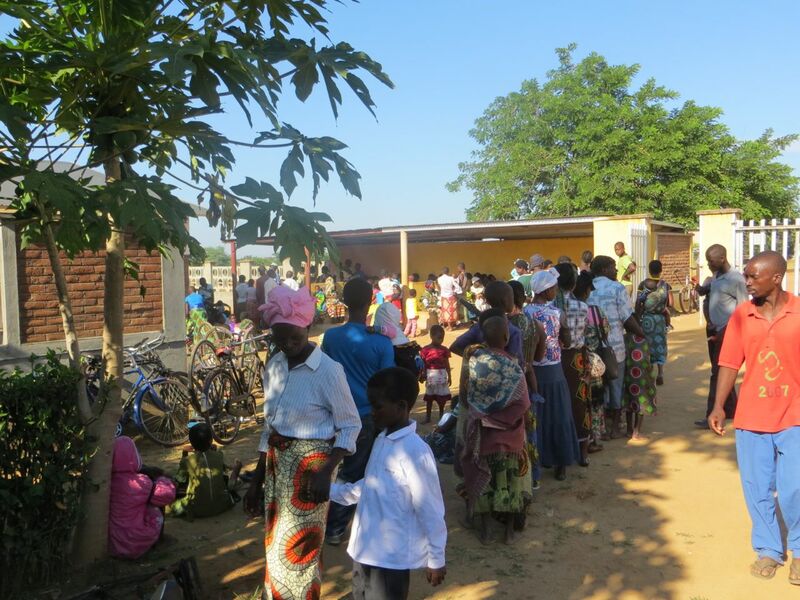 This entry was posted in Culture and Sport, Health Care, News from Malawi and tagged Alleluya Band, Andiamo Youth Cooperative Trust, Comfort Community Hospital, Fr.Mario Pacifici. Bookmark the permalink.